This Tuesday the Bryce Jordan Center will bring together 12 Chambers of Commerce and over 200 businesses showcasing their products & services, there will be 9 FREE Workshops available to anyone who wishes to attend. The event runs from 1:30 p.m. – 7:00 p.m. and is FREE & Open to the Public! Take advantage of this opportunity to meet local businesses from throughout the region! Check out our Expo Info Pages to see a full list of Businesses and all information. 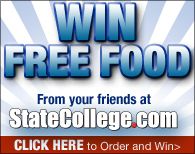 Statecollege.com is giving away Free Food. Check out the NEW Dining Guide to find out how you can win! But, that is not the only way you can save using Statecollege.com. There is a Brand NEW Coupon Section. Check it out now and keep checking back, more businesses will be adding Coupons every day. 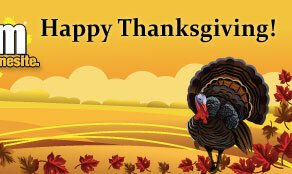 If you are looking to make a few bucks for the holidays, check out our FREE Local Classifieds. You can post and sell stuff you don't use or need anymore to buy stuff you will not need later. StateCollege.com is thrilled to announce the newest addition to the lineup of columnists: Patty Kleban. The Penn State instructor and mother of three will be featured on the site every other Tuesday, and readers can expect to read about everything from parenting to State College and Penn State issues. The addition is just another way that the No. 1 place for all things State College continues to expand with our readers' best interests in mind. 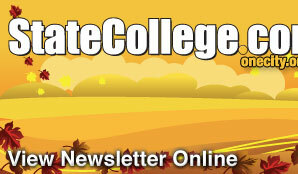 Read great articles from all our columnists everyday on Statecollege.com! Indiana (PSU final home opponent) last won the Big 10 in what year? Nebraska-Larry the Cable guys wears something from which college during every performance?